Dr. Clarke is no stranger to crafting mystical oriental trance, with a darker edge. With his previous releases: Tears of Darkness and Dark Legacy, he has firmly established himself as a new age producer, fusing eastern sounds effortlessly with electronic elements – creating a breathtaking journey! 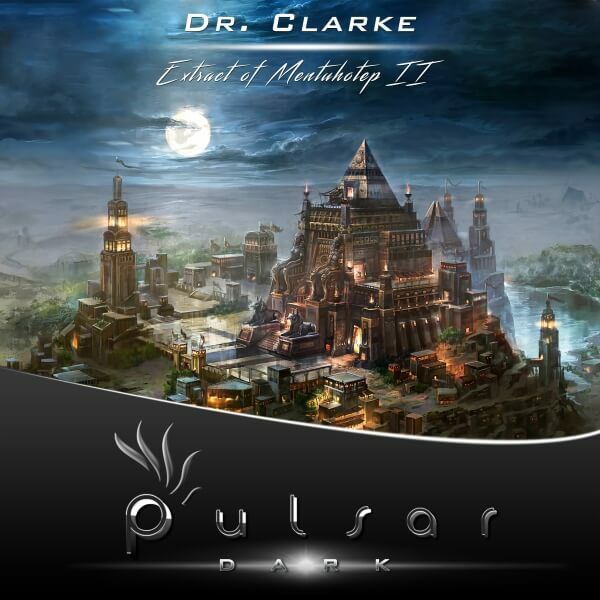 An ode to the founder of the Middle Kingdom – Mentuhotep II, an Egyptian king; ‘Extract Of Mentuhotep II’ is Dr. Clarke’s third release on Pulsar Dark and he offers yet another spin on his signature style, taking the listener back to the ancient Egypt. While his previous tracks were slower paced, this time he amps up the bpm and delves into a nasty psy-tinged bassline. A brooding collage of mystic chants and middle-eastern melodies take the center stage, eventually exploding into a dark,techy and fx-heavy groove. The track may hardly ‘fit’ in a majority of sets, but it’s a sensational effort from this French producer, truly wreaks havoc with its menacing atmosphere!